We are involved in gathering, manufacturing and packing of nigella seeds and can supply both natural and organic certified Nigella Seeds. Nigella seeds have a mild, nutty onion flavor and that is why it is also called Onion Seeds but they have nothing to do with the onion family. They are used as a condiment in India and the Middle East on flatbreads and vegetable dishes. Their shape has an interesting appeal, edgier than sesame, but they can be used in many of the same ways. Give them a quick toast in a dry skillet to bring out the most flavor. One of the oldest spices known to be used, nigella seeds (n. sativa) were found in Tutankhamun’s tomb and are mentioned in the Bible’s Old Testament, although their use is not clear. 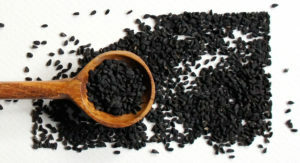 The tiny black seeds have a slightly bitter taste with some of the pungency of onion but also offer many other subtle nuances of flavor. Nigella seeds can be sprinkled on all kinds of vegetable dishes and salad. It is one of the prime spice being sold from India. Keep it cool and dark in an airtight container, nigella seeds have a very long life. Discard if there is a musty rather than sharp smell.